Impact Recovery System’s revolutionary new steel bollard system solves the problems of rigid bollards while retaining the benefits. The SlowStop® Bollard is a revolutionary energy absorbing bollard that does more than just block access. During a collision, the kinetic energy of the impact is progressively absorbed by an elastomer hidden in the base of the bollard. The post is able to tilt approximately 20° as it progressively absorbs energy, greatly dampening any impact. After impact, the post returns upright, leaving the guard intact and ready to perform again. Protect buildings, utilities, pedestrians, and equipment. 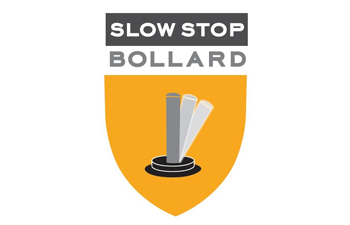 SlowStop Bollards are available in 3”, 4” and 6” diameters. Modular connectors are available to create fencings and guardrails. An ADA compliant handicap parking sign is also available.